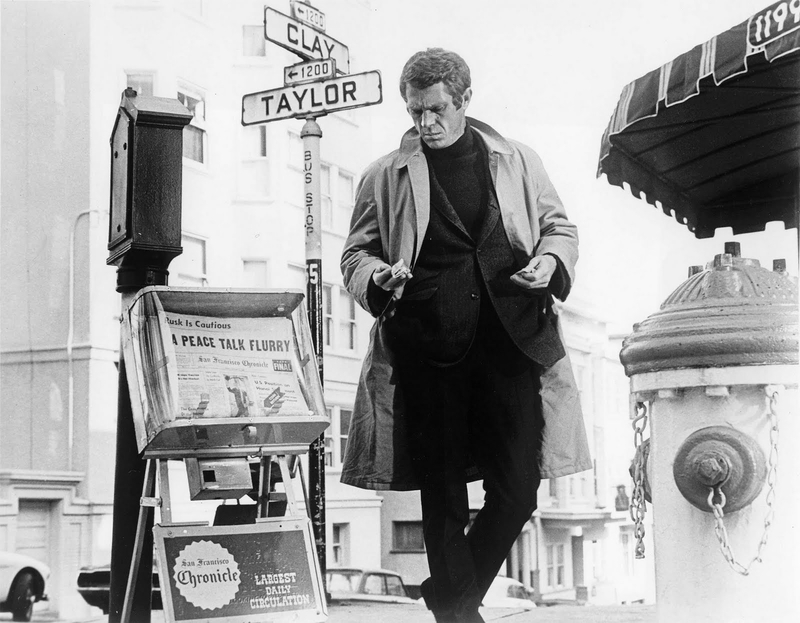 Steve McQueen in Bullitt — sporting the turtleneck, ripe for a comeback. Turtleneck sweaters have long been a staple for winter sportsmen, as well as an indispensable part of the beatnik uniform. The reasons for their popularity are obvious: they look trim and they eliminate the bother of a necktie. They are now being worn with blazers and sports coats to the office (among advertising art directors, the turtleneck has virtually become a uniform). At some small Manhattan parties, half the men now show up in turtlenecks.